If an eligible company is grouped with another company that has a different accounting period, is it the eligible company’s ‘tax offset year’ that is used when determining the group ‘aggregate research and development amount’ and the ‘R&D group turnover’ amount, and not the ‘year of income’ of the group member? Yes. The eligible company’s tax offset year is used when calculating the group aggregate research and development amount for the purposes of paragraph 73J(1)(c) of the Income Tax Assessment Act 1936 (ITAA 1936) and the R&D group turnover for the purposes of paragraph 73J(1)(d) of the ITAA 1936. The company is an ‘eligible company’ as defined in subsection 73B(1) of the ITAA 1936. It undertakes research and development activities in Australia. 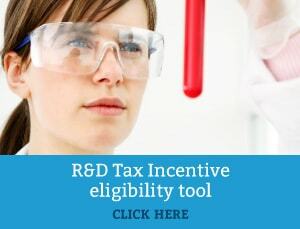 This company wants to determine its eligibility under section 73J of the ITAA 1936 to choose the tax offset in section 73I of the ITAA 1936 (‘the R&D tax offset’). The eligible company has a normal Australian accounting period, ending on 30 June. The eligible company is grouped with another company under section 73L of the ITAA 1936. The company which is grouped with the eligible company has a substituted accounting period. Sections 73I, 73J and 73K of the ITAA 1936 govern eligibility for, and claiming of, the R&D tax offset. Subsection 73I(1) of the ITAA 1936, allows an eligible company to choose this tax offset instead of a deduction for a ‘year of income’ (also referred to in this subsection as the ‘tax offset year’). Click here for full ATO ID. or have Swanson Reed call you.